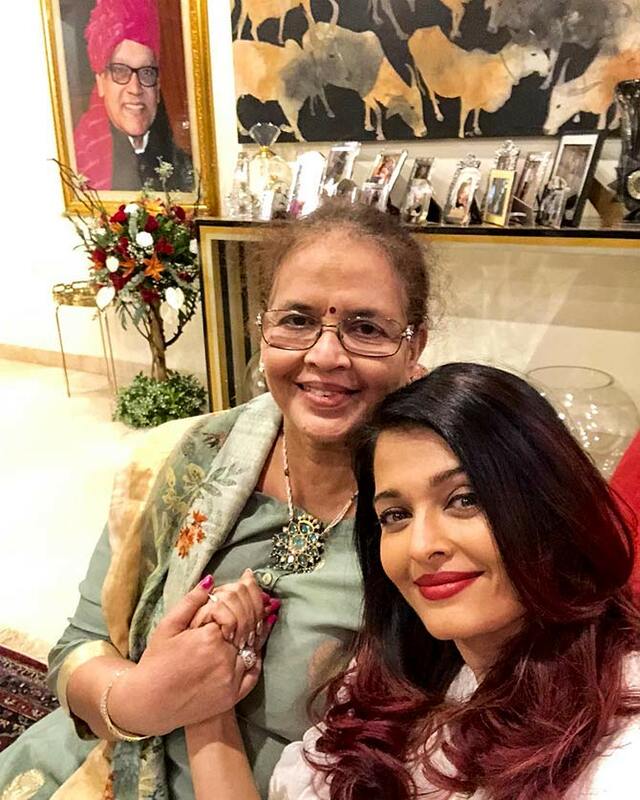 The other half of Aishwarya's family, who you don't usually see. 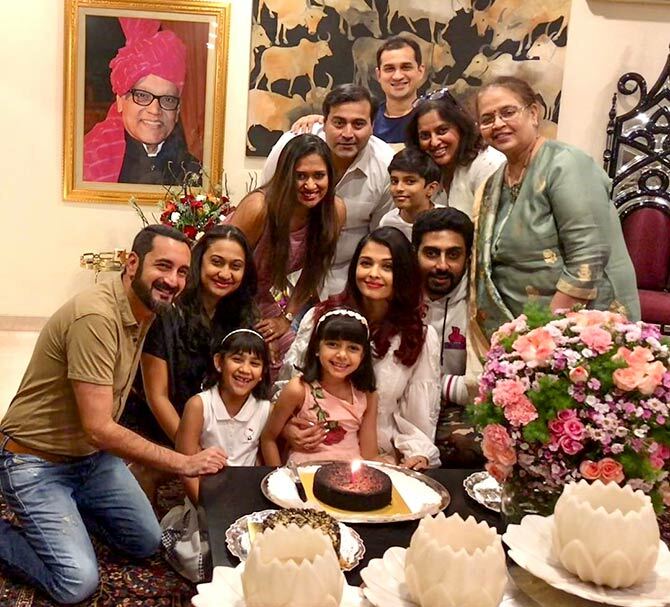 Last night, Aishwarya Rai Bachchan had a quiet birthday celebration at her Mumbai home with family and close friends in attendance. 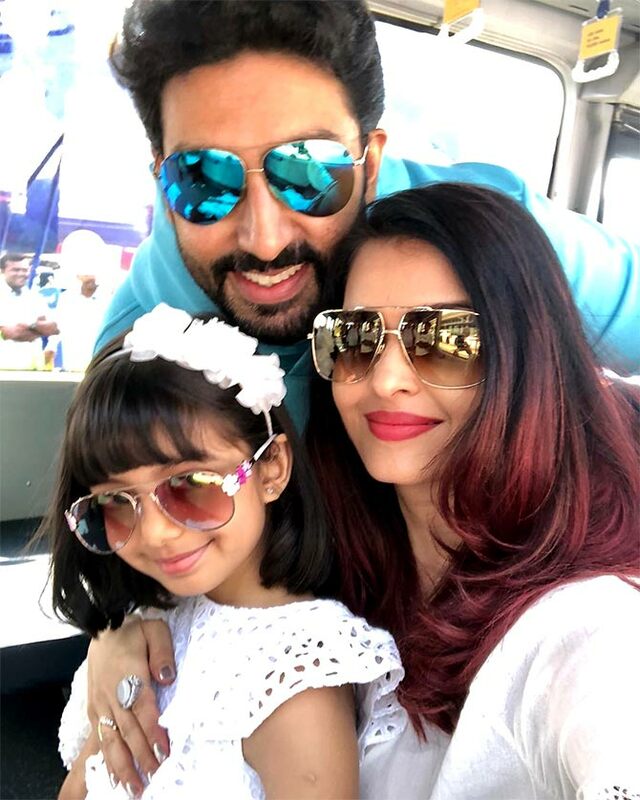 While Amitabh and Jaya Bachchan were missing, Ash's mom Vrinda Rai was present along with son-in-law Abhishek Bachchan and granddaughter Aaradhya. 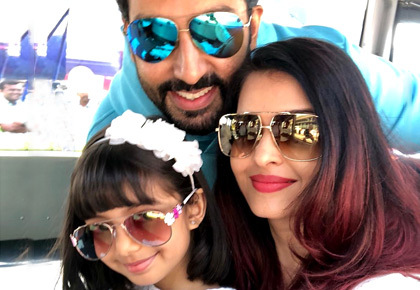 On Thursday morning, the birthday girl zoomed off to Goa along with her hubby and daughter for a quick getaway. Before leaving, Ash posted a selfie and captioned it, 'LOVE'. Meanwhile, birthday messages have been pouring in for Aishwarya. 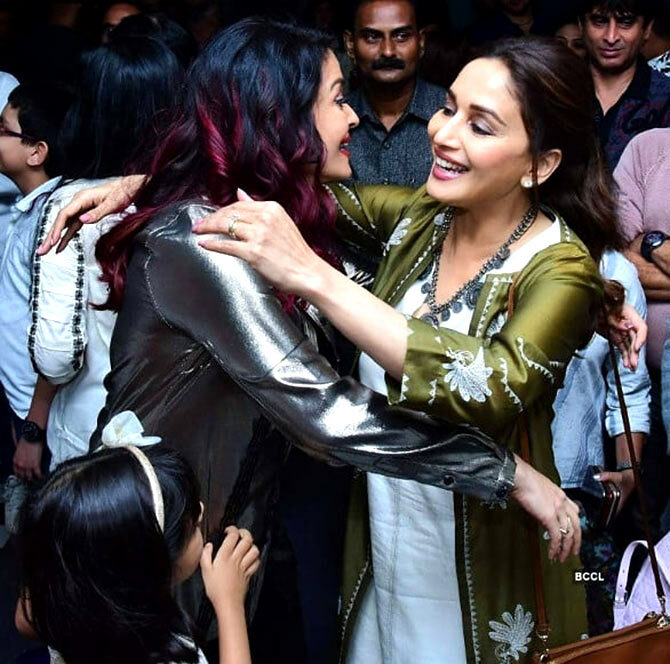 Devdas co-star Madhuri Dixit posted an Instapic and said, 'Sending you my love & good wishes on your birthday @aishwaryaraibachchan_arb May you have a blessed year ahead filled with love, joy and happiness'. Sharing a throwback picture of Ash, makeup artiste Mickey Contractor wished her on Instagram. 'Happy Birthday Wife. I love you! #MyHappyPlace,' Abhishek wrote along with a beautiful picture of the two.